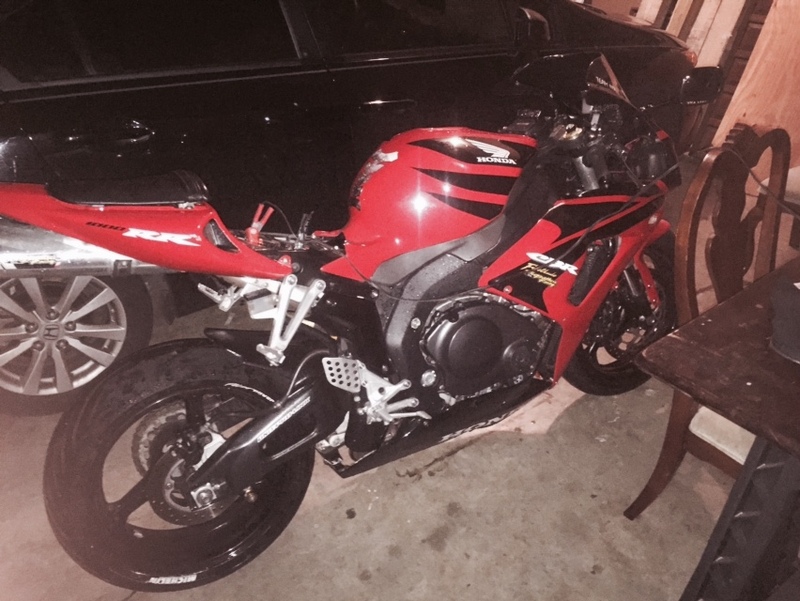 Picked up a 2007 CBR1K last night...took a 2 hour trip to go get it on a whim that the guy was being truthful about it. 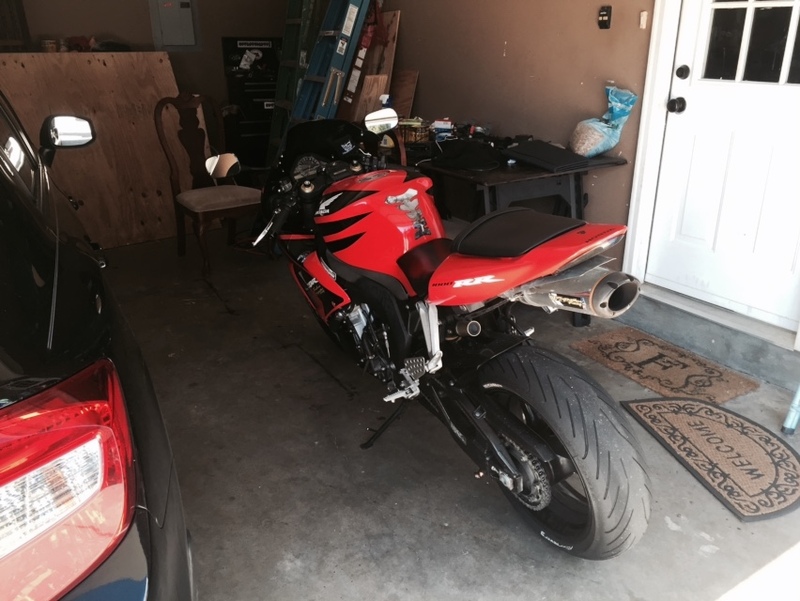 Was kind of skeptical due to the fact its a 2007 with only 13k miles, two brothers exhaust and HIDs....otherwise its very stock....has a decent set of pilot power 2cts on it as well....I was expecting some surprise when I got there....only thing I could see was the fairings were aftermarket...who knows what happened lol....started the bike when I got there....ran it until the fan came on, shut it off then went to start it again...no luck. waited about 5 minutes then started it and it took a minute but finally started.....4500$....got it home and hooked it to the trickle charger and let it sit overnight. Woke up this morning, walked to the bike and unhooked the charger, started right up with 0 hesitation.....I like it a LOT and man will this thing go haha.....But I figured for $4500 bucks at 13k miles....It was a steal! At least I believe so lol! Yosh needs an 06 CBR1K for fitment, anyone? Quick Reply: New bike! 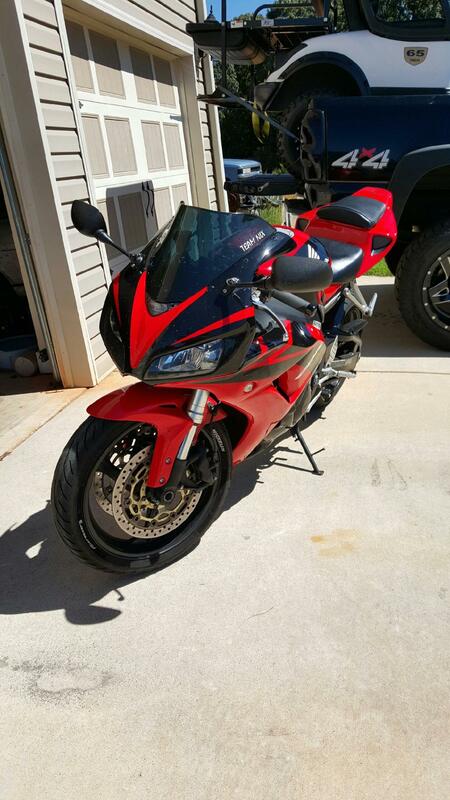 2007 cbr1k!